The quality of olive oil production—especially the stage of pressing—really does make a difference when it comes to health benefits. Recent studies have compared the anti-inflammatory benefits of extra virgin olive oil (EVOO) obtained from the first pressing of the oil to the anti-inflammatory benefits of virgin olive oils (non-EVOO) obtained from later pressings. What researchers found was an ability of EVOO to lower inflammatory markers in the blood when non-EVOOs were unable to do so. (Study measurements included blood levels of thromboxane A2, or TXA2, and leukotriene B2, or LBT2.) This ability of extra virgin olive oil to help protect against unwanted inflammation is not surprising, since EVOO is known to contain stronger concentrations of phytonutrients (especially polyphenols) that have well-known anti-inflammatory properties. Mediterranean Diet studies have long associated olive oil intake with decreased risk of heart disease. However, a recent group of studies has provided us with a fascinating explanation of olive oil’s cardioprotective effect. One of the key polyphenols in olive oil—hydroxytyrosol (HT)—helps protect the cells that line our blood vessels from being damaged by overly reactive oxygen molecules. HT helps protect the blood vessel cells by triggering changes at a genetic level. The genetic changes triggered by HT help the blood vessel cells to enhance their antioxidant defense system. In other words, olive oil supports our blood vessels not only by providing antioxidants like like vitamin E and beta-carotene. Olive oil also provides our blood vessels with unique molecules like HT that actually work at a genetic level to help the cellular walls of the blood vessels remain strong. 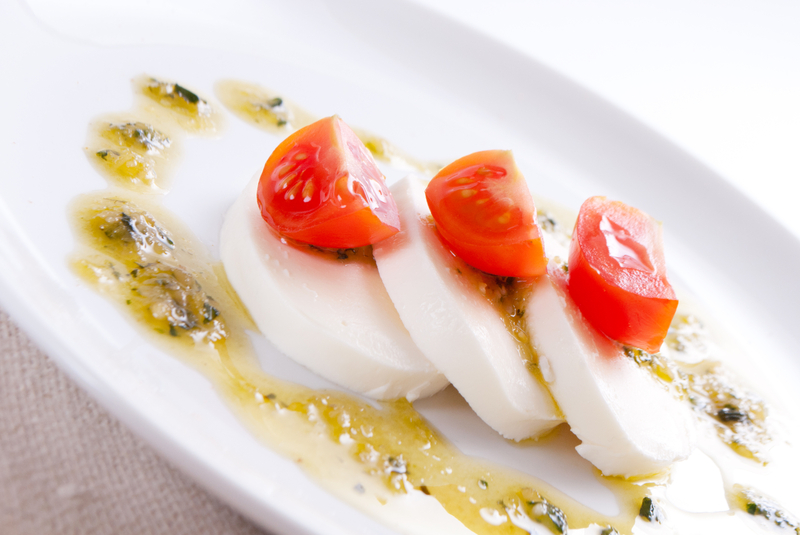 Olive oil has long been recognized for its unusual fat content. This plant oil is one of the few widely used culinary oils that contains about 75% of its fat in the form of oleic acid (a monounsaturated, omega-9 fatty acid). 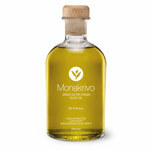 In terms of monounsaturated fat, the closest common culinary oil to olive is canola oil, with about 60% of its fat coming in monounsaturated form. By contrast, the fat in soybean oil in only 50-55% monounsaturated; in corn oil, it’s about 60%; in sunflower oil, about 20%; and in safflower oil, only 15%. When diets low in monounsaturated fat are altered to increase the monounsaturated fat content (by replacing other oils with olive oil), research study participants tend to experience a significant decrease in their total blood cholesterol, LDL cholesterol, and LDL:HDL ratio. Recent research studies have taken these heart-healthy effects of olive oil one step further. Olive oil’s monounsaturated fat content (specifically, its high level of oleic acid) has now been determined to be a mechanism linking olive oil intake to decreased blood pressure. Researchers believe that the plentiful amount of oleic acid in olive oil gets absorbed into the body, finds its way into cell membranes, changes signaling patterns at a cell membrane level (specifically, altering G-protein associated cascades) and thereby lowers blood pressure. To our knowledge, this is the first time that the monounsaturated fat content of olive oil has been linked not only to cholesterol reduction, but also to reduction of blood pressure. Cancer prevention has been one of the most active areas of olive oil research, and the jury is no longer out on the health benefits of olive oil with respect to cancer. Twenty-five studies on olive oil intake and cancer risk—including most of the large-scale human studies conducted up through the year 2010—have recently been analyzed by a team of researchers at the Mario Negri Institute for Pharmacological Research Institute in Milan, Italy. Firmly established by this research team were the risk-reducing effects of olive oil intake with respect to cancers of the breast, respiratory tract, upper digestive tract and, to a lesser extent, lower digestive tract (colorectal cancers). These anti-cancer benefits of olive oil became most evident when the diets of routine olive oil users were compared with the diets of individuals who seldom used olive oil and instead consumed diets high in saturated added fat, especially butter. Most of the polyphenols in this list have been shown to function both as antioxidants and also as anti-inflammatory nutrients in the body. The very number and variety of polyphenols in olive oil helps explain the unique health benefits of this culinary oil.